Indian Government will be up for the task of providing 40,000 MWp of Grid Interactive Rooftop Solar PV plants in the next 5 years. These plants will be set up in different sector of the country and the capacity of these plants will range from 1 kWp to 500 kWp. These plants will be set up in the residential, commercial, industrial and institutional sectors of the country. 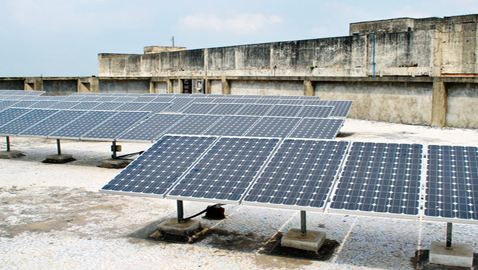 These rooftop PV plants are very feasible as they can produce electricity from the solar energy and they cost Rs. 7 per kWh without any financial assistance. The government has promised that they would provide a financial assistance of 15% on these rooftop PV plants to the beneficiaries. This contribution of the government will make this project more successful and attractive. The government has set a massive target and to achieve it they will need help. Below is a table to showcase the help sources of the government and how they will help the government. Banks The banks will help the government by providing loan to the loan seekers. They will provide loans to the people who are looking to install the Rooftop Solar PV Plants. These loans will be under the category of Home loans/ Home Improvement Loans. All banks will advise and encourage this loan process. The banks will also include the cost of equipments related to the installation like wiring and other fittings. 8 Public Sector Banks So far, 8 Public Sector Banks of India have come forward to the cause of helping the government and they have already taken actions for this loan process and ensured that their branches have necessary instructions issued for this project. State Nodal Agencies The State Nodal Agencies which implements renewable energy programs are helping the government by providing information about the loan process to the loan seekers. Empanelled Channel Partners The Empanelled Channel Partners are helping the government by providing information and guidance to the loan seekers. The loan seekers who want to install these projects can go to the following places for guidance about the loan process. Official website of Ministry of New and Renewable Energy.